These words echoed around the country as Remembrance Parades and services were held to commemorate the ending of the First World War and to remember all those who gave their life or health for the future of their country. 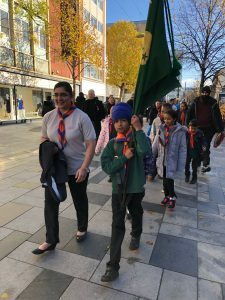 Within Slough District there were multiple parades including Slough, Cippenham, Colnbrook and Langley, which all saw Scouts in attendance. 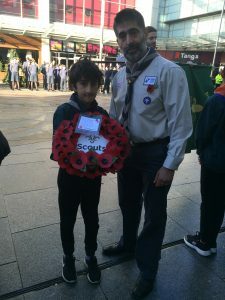 © Copyright 2019, Slough District Scouts, All Rights Reserved.